Microsoft EndPoint protection team and System center development team are merging! As part of STB’s strategy to align future Windows endpoint security and systems management engineering, the Forefront endpoint protection development team will join the System Center development team which is led by Brad Anderson. With this change, Brad’s new organization will be called the Management and Security Division. Which is in line with the decision that was made in october to rebuild Forefront on top of SCCM (a systems management product) as opposed to its old mom 2005 architecture (a monitoring product). On top of that it also moves SCCM into the area that Gartner predicts for several years already that lifecycle management is moving to (Endpoint protection integration). Symantec and Altiris are moving in that direction, and so is Microsoft now. Enjoy the dive into the Dark Magic of WMI. As they demonstrated a few weeks ago at #MMS2010, the System Center team is working in partnership with Citrix to integrate the management of XenApp with Configuration Manager. The connector enhances Configuration Manager, enabling administrators to orchestrate the tasks required to deliver applications to XenApp Servers and publish XenApp hosted applications seamlessly and with minimal impact to the user. They’ve put together a white paper that outlines how the new capabilities can be used to improve enterprise application management. I think this is a huge step forward as today’s issues where not distributing the app on a Citrix/Xenapp box , but to publish the app thru the Xenapp Console . I will try this connector in the upcoming weeks at my customers and let you know what my experiences are. So stay tuned . Now we will talk about importing the 3rd Party Remote Configuration Certificate on the OOB Service Point (In this example we will use a certificate from GoDaddy ). In part 3 we will explain how to import the Vpro certificate and to export the certificate again for the use of the OOB role in System Center Configuration manager. and that it has been issued for the server that will serve as the AMT provisioning point. 2. You will need to import both certificates by right clicking the certificate and select “Install Certificate” on your AMT “out of band service point” as shown below. 3. Preparing the AMT Provisioning Certificate for the Out of Band Management role on the SCCM server. 1. When done correctly they should be seen in your certificate store at Certificates (Local Computer) running on the member server, right-click the provisioning certificate, click All Tasks, and then click Export. 2. In the Certificate Export Wizard, click Next. 3. On the Export Private Key page, select Yes, export the private key, and then click Next. 4. On the Export File Format page, ensure that Personal Information Exchange – PKCS #12 (.PFX) is selected, and then select Include all certificates in the certificate path if possible. 5. On the Password page, specify a strong password to protect the exported certificate with its private key, and then click Next. 6. Click Next, and on the File to Export page, specify the path and name of the file that you want to export, and then click Next. 7. Click Finish in the Completing the Certificate Export Wizard page, and then click OK in the Certificate Export Wizard dialog box. 8. 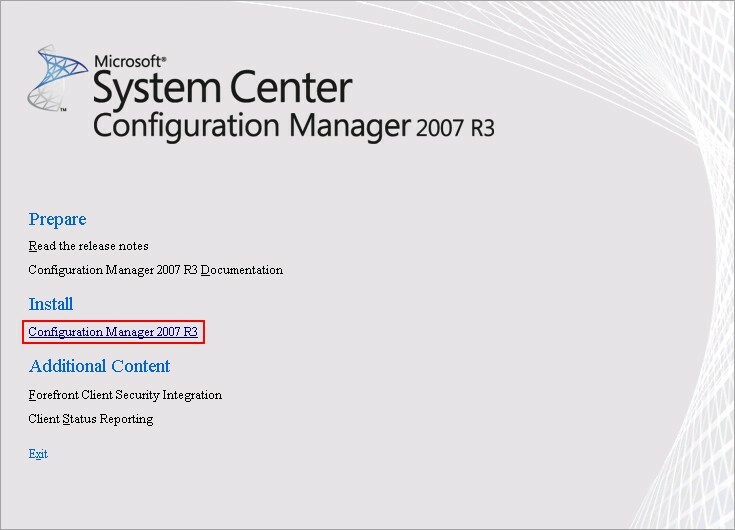 Store the file securely, and ensure that you can access it from the Configuration Manager console. 4. The AMT provisioning certificate is now ready to be configured for the out of band management component.In part 4 we will explain how to set-up the other certificates needed and the internal PKI infrastucture that is needed for the OOB role in System Center Configuration manager.